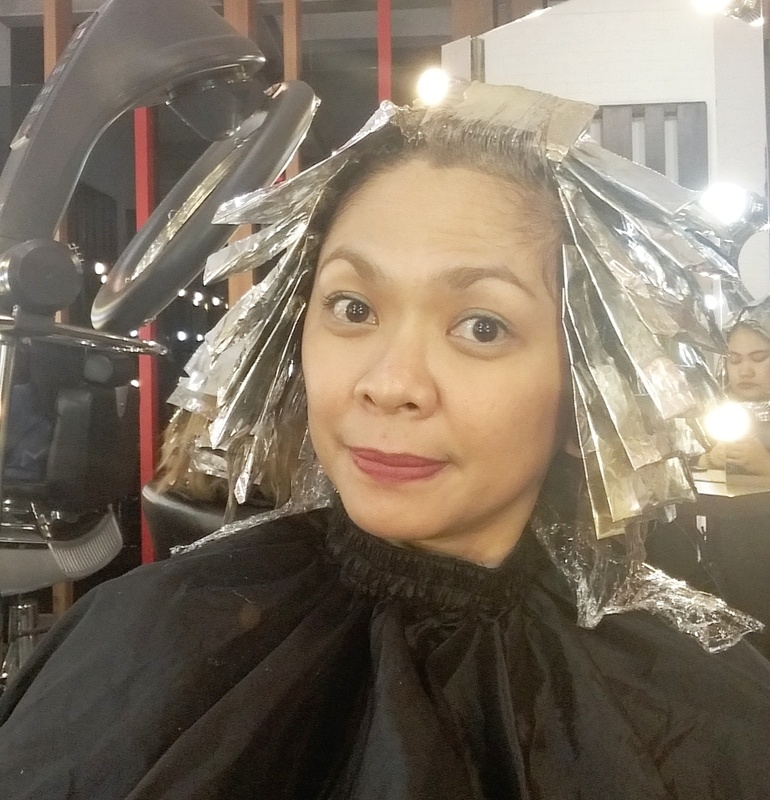 I really wanted to go to a posh salon in Davao City and avail of their services, but hesitations sometimes struck me because one, I do not know the hairstylists and I have trust issues. Two, I have doubts on the products because it might be fake, harmful or too strong, and three, the most important, is the price. Since I am just living in Tagum City, prices are quiet low and I am used to that. 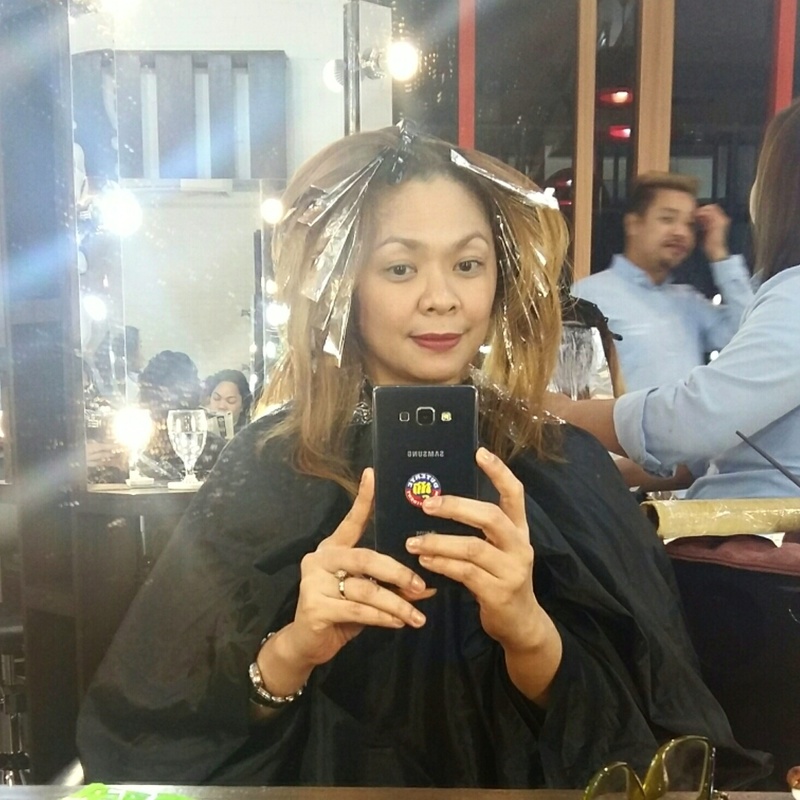 So when I plan to have my hair done in Davao City, my basic questions are: Is it affordable? Is it too expensive? Is it value for my money’s worth? 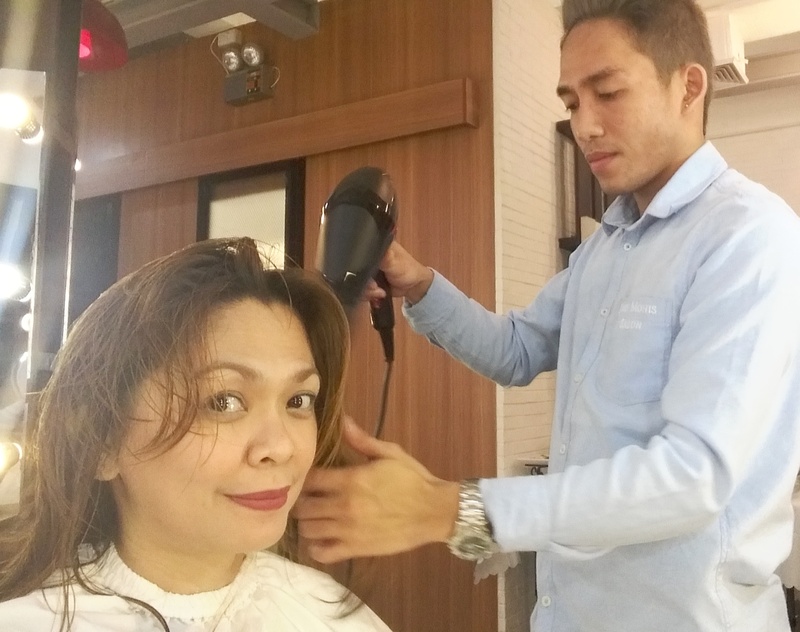 Good thing was that the Davao Bloggers Society members were invited to attend a meet and greet event at Hair Philosophie by Jing Monis, with Jing Monis himself! 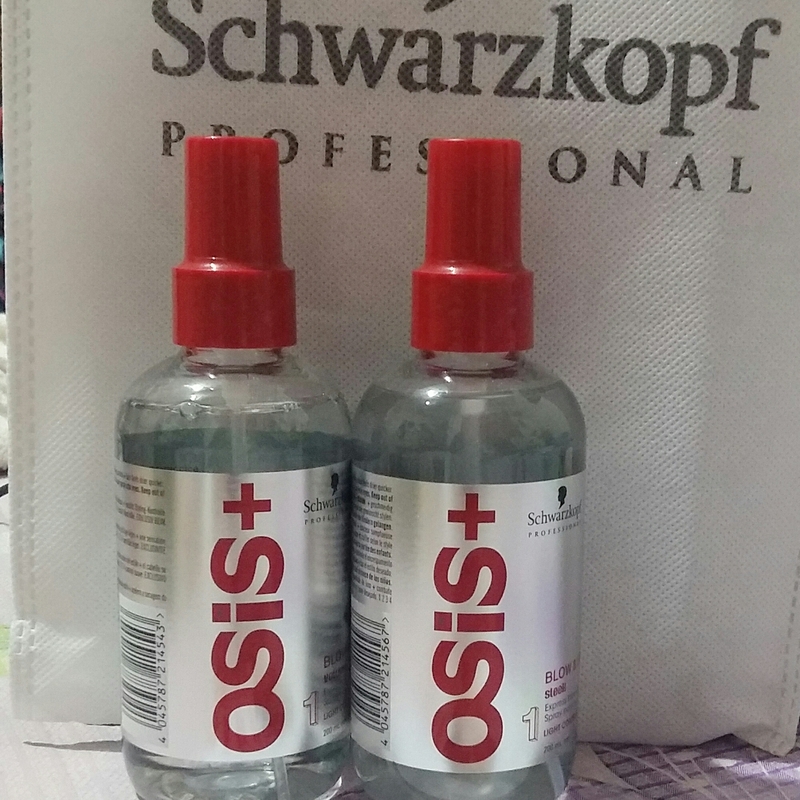 Of course, we were able to avail services of our choice and we were also given freebies to maintain our hair condition. 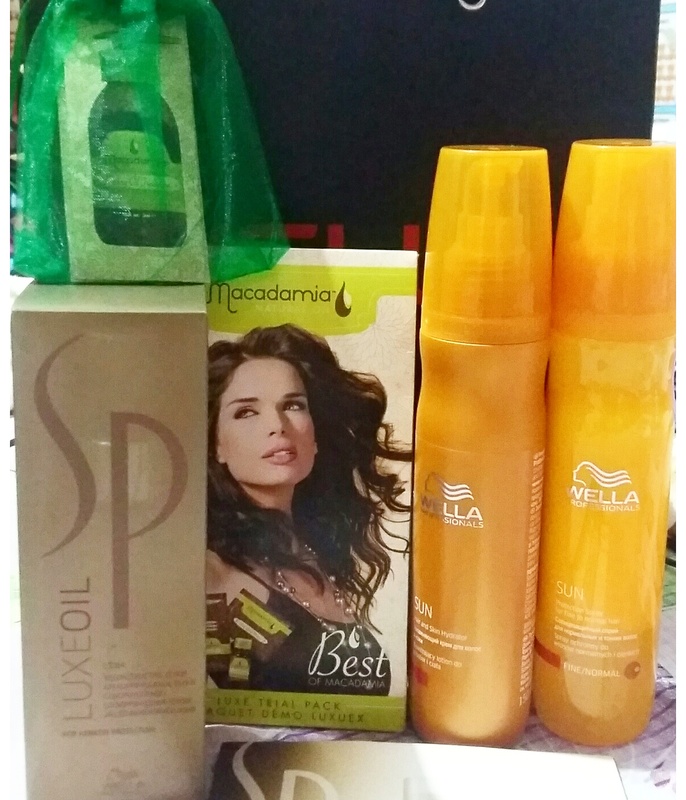 The products were from Osis and Wella. 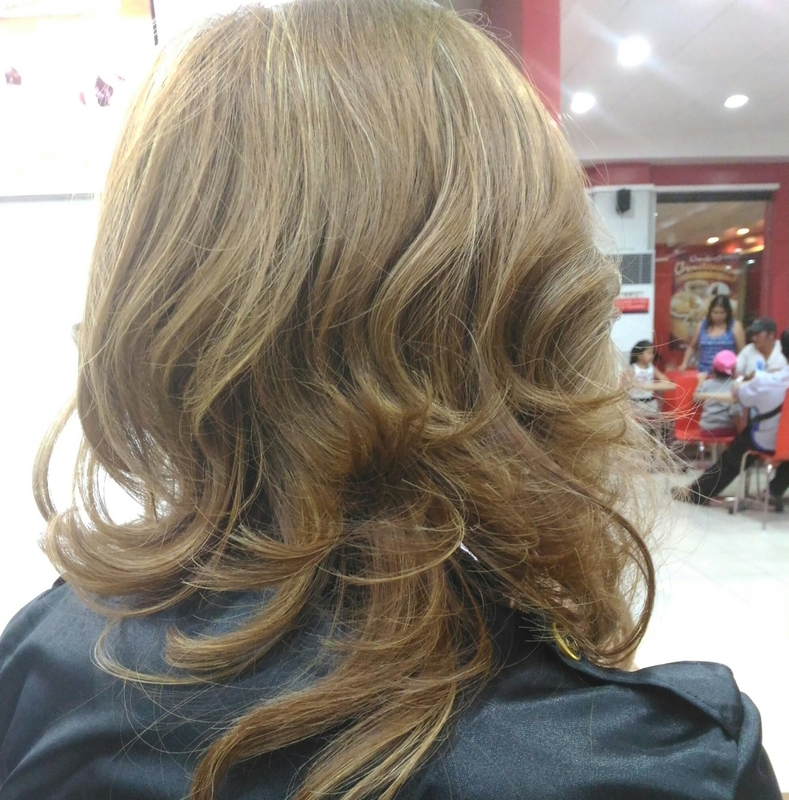 I availed the hair cut, full highlights, full hair color and hair treatment during my schedule. 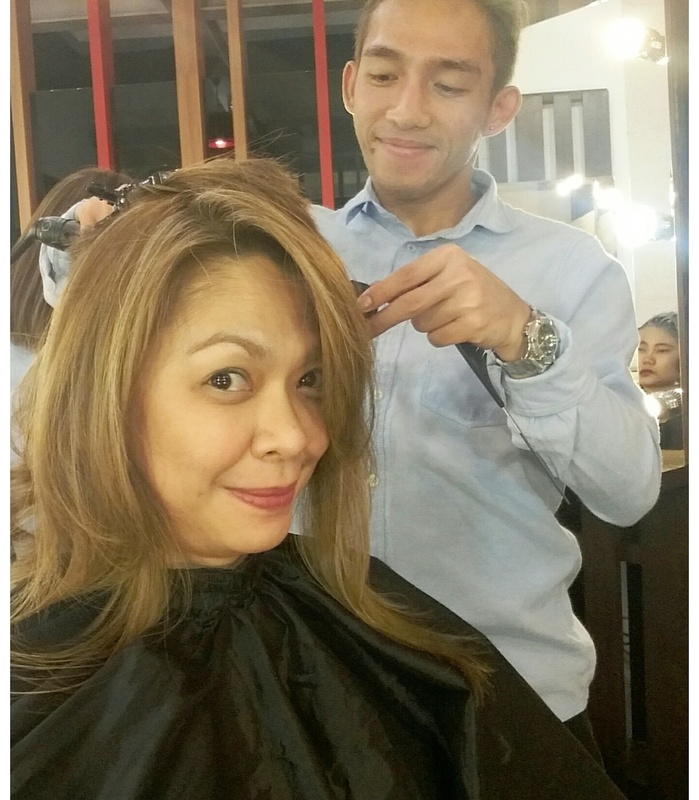 Mr. Mario, the senior stylist, was very accommodating and gave advise on what is the best for my hair. Together with Mr. Eric, his junior stylist, they did an amazing job on my hair. 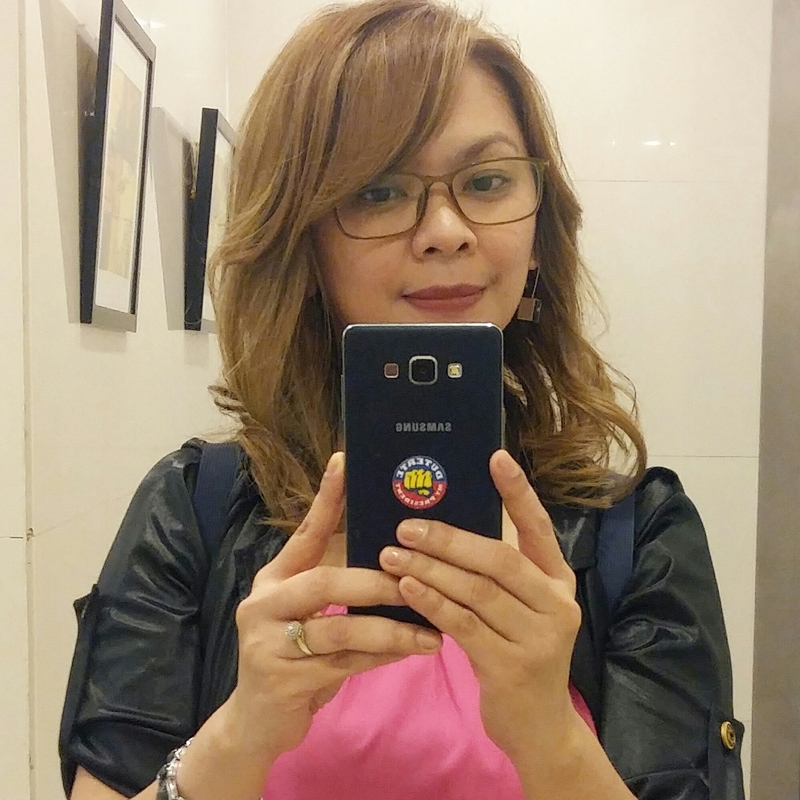 The color was toned down and the highlights gave some oomph on my boring and untamed hair. 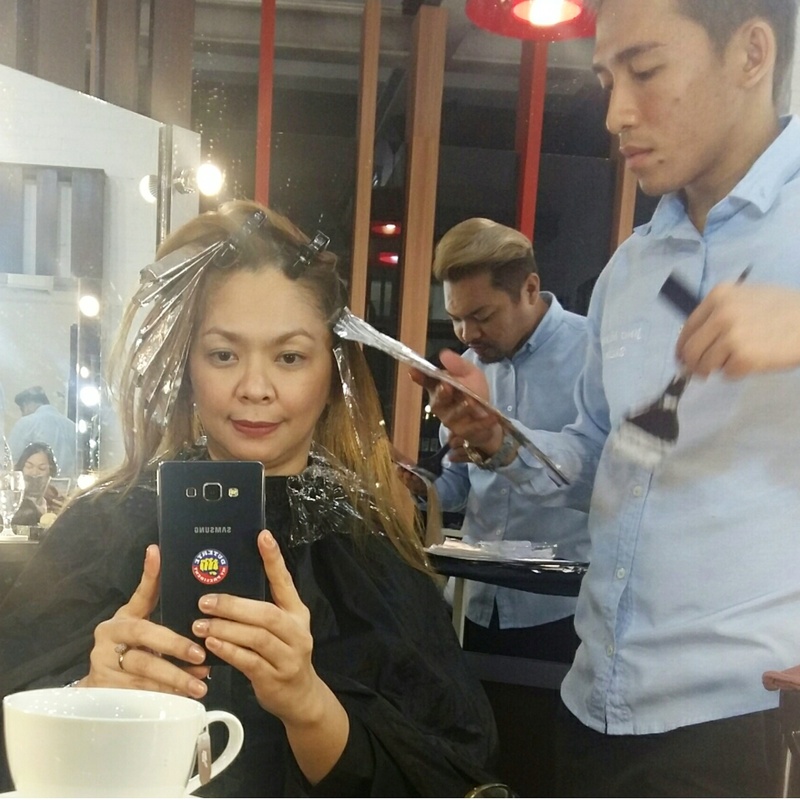 Hair Philosophie by Jing Monis is a great salon. With my experience, the hair stylists were really good, the products are of the best quality and the price…the price is reasonable. 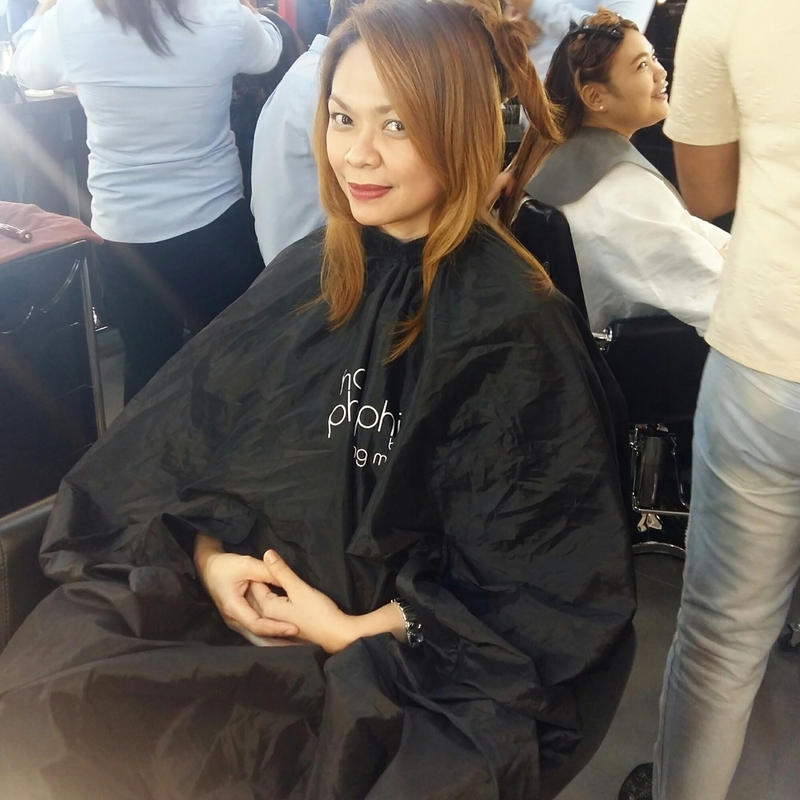 With my medium-length hair, the prices were: haircut in round layer style – 450 pesos, full highlights in special blonde ash – 2,200 pesos, full hair color in medium blonde cendre copper – 2,400 pesos, and macadamia treatment – 1,500 pesos. Total is 6,550 pesos. Yes, it is expensive but you will not regret it. The products and services were all worth it. 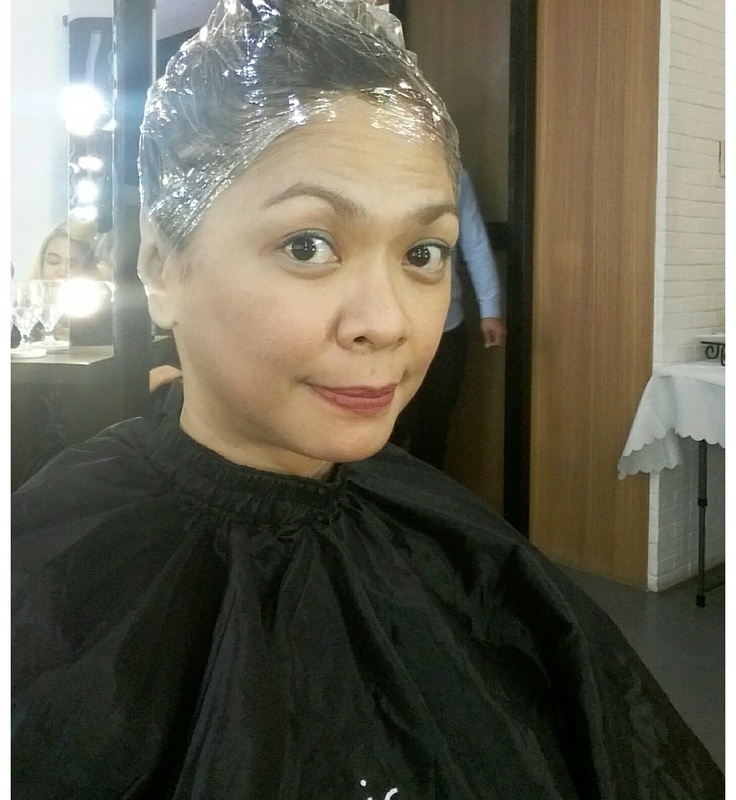 I am very satisfied and will visit Hair Philosophie by Jing Monis again in 2 to 3 months for my maintenance and trim. If you want to visit it too, they are located at the 2nd Floor, Abreeza Corporate Center, every day during mall hours. Whitening products in all forms are available in the market today – it could be lotion, cream, soap, spray, juice, tablet, capsule, powder, gel and many others! The choice of the user depends on the convenience it can give. While most of us know about the high demand of these products today, many are looking for those that give them the fastest result, if not instant. The most promising whitening agent is the glutathione. Glutathione (GSH) is an antioxidant made from glycine, glutamic acid and cysteine. While glutathione is prepared like any cosmetic or vitamin product – in a safe, sterile laboratory setting – it is made of all-natural amino acids that occur in nature and are beneficial to our bodies. Glutathione is commonly taken in pill form, and glutathione pills are hugely successful in Japan, particularly for women that just want to have lighter skin than they were born with without the side effects that some topical treatments have. Here in Tagum City, Love and Cherish Beauty Solutions offers services that will make you look fairer and more beautiful. Aside from the whitening cosmetics, tablets and capsules sold in their store, they also offer the fastest way to get fairer – gluta push and gluta drip. Gluta push is glutathione taken via intravenous injection. You will get to choose from a variety of brands available. Of course, choices depend on the clients budget, available time for injection and convenience. Usually, injections are given 2-4 times a week, depending on the brand. But rest assured that all the products are bought from a reliable and authentic supplier. Gluta drip is the newest and faster way compared to gluta push, if you have the patience. 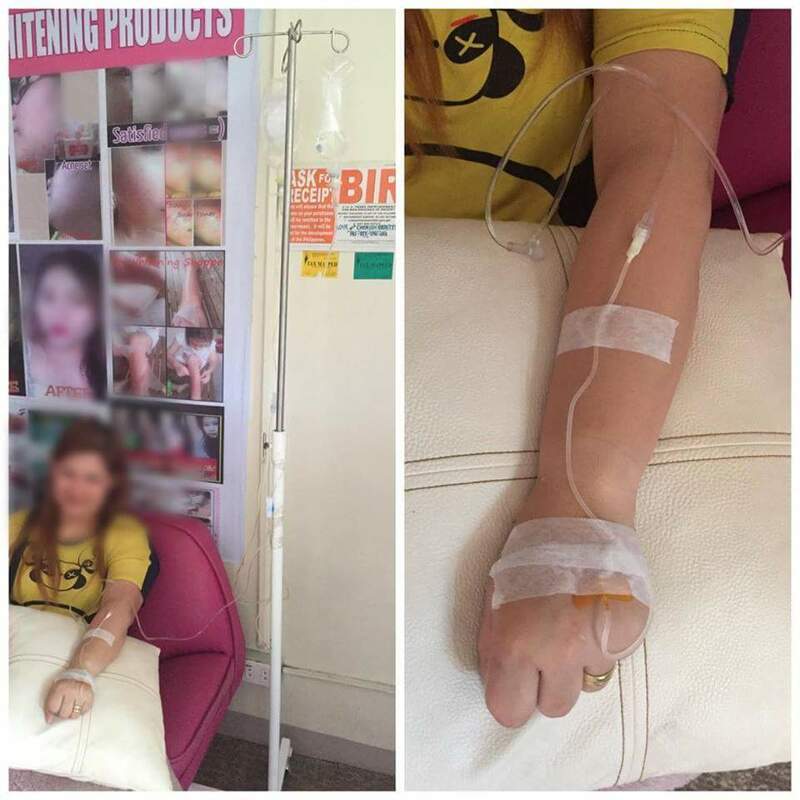 Gluta drip is glutathione taken through intravenous infusion, meaning through a dextrose! The treatment last for an hour or less, so you will be staying in the store that long. The price is more expensive than gluta push but you can do it once or twice a month only. No worries because the owners, Lovely and Cherish, are both registered nurses, have practiced in different wards in the hospitals before, and had their IV Therapy licenses. They also orient the clients before they proceed to the treatment. So far, all the clients were satisfied with the results and more and more are enticed to try these treatments. The best of all is, clients are not afraid of needles anymore because Lovely and Cherish are experts that make everything painless. For more information, you can visit them at Stall Number 72, Trade Center, Tagum City. Love and Cherish Beauty Solutions is also the authorized distributor of BN Whitening products here in Tagum City. You can visit their Facebook page, BN Whitening Shoppe Tagum for more updates and promos. Another year, another new products. 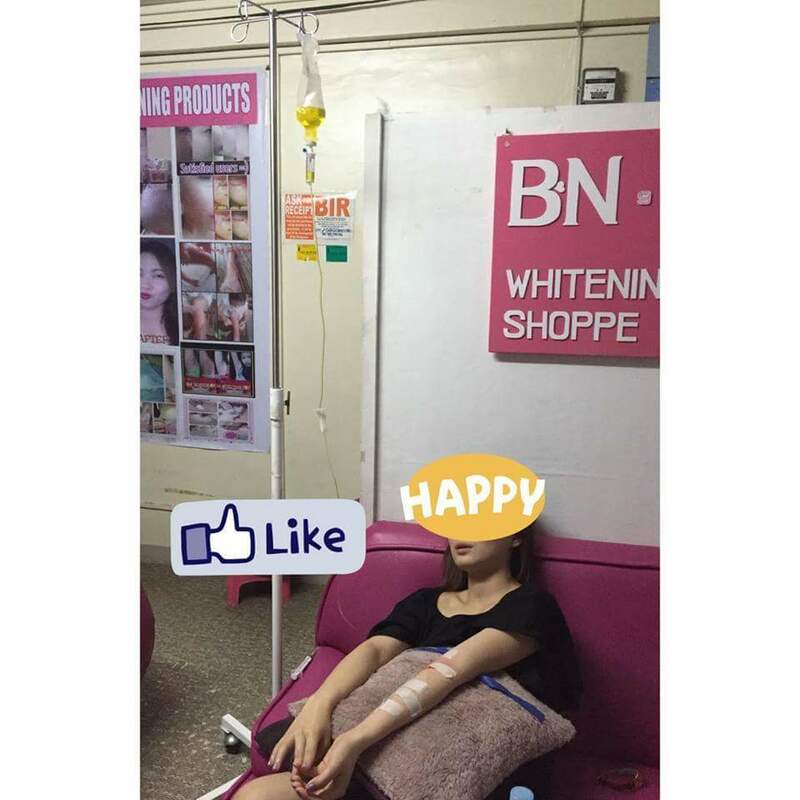 BN Whitening Shoppe has launched again their new innovations to give the clients more choices for their skin care and whitening needs. After all, when we talk about whitening, it is not only the face and body exposed to the sun are involved, but the covered and the unexposed as well. This is the reason why they made another product for the underarms, the Deo Whitening Cream. It is an anti-perspirant, anti-transpirant deodorant that you can use. If you are currently using the Underarm Whitening Solution and find it hassle to use because you need to use it with cotton, then Deo Whitening Cream is more convenient. Just push the pump for a little amount of cream, and apply it on your underarms. It has a nice, fresh fragrance that can lighten up your mood. Another new product, one of my favorites, is the Organic Puff Mineral Powder in three shades that you can choose to suit your skin color. Mine is shade No. 1 and I find it perfect. 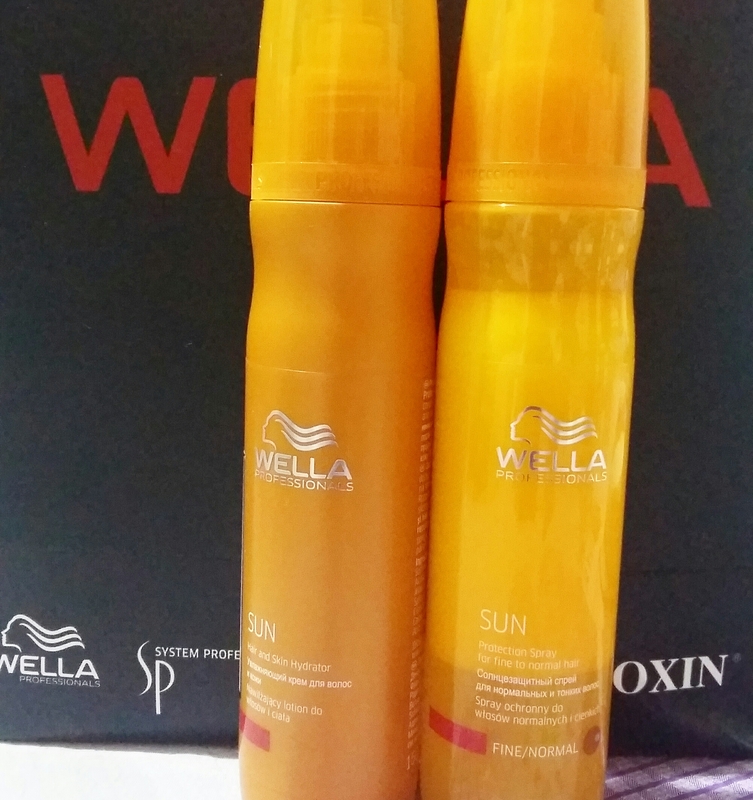 It has a medium coverage and keeps you face smooth and flawless and oil-free for the whole day. It is in a compact container that has a mirror and sponge. 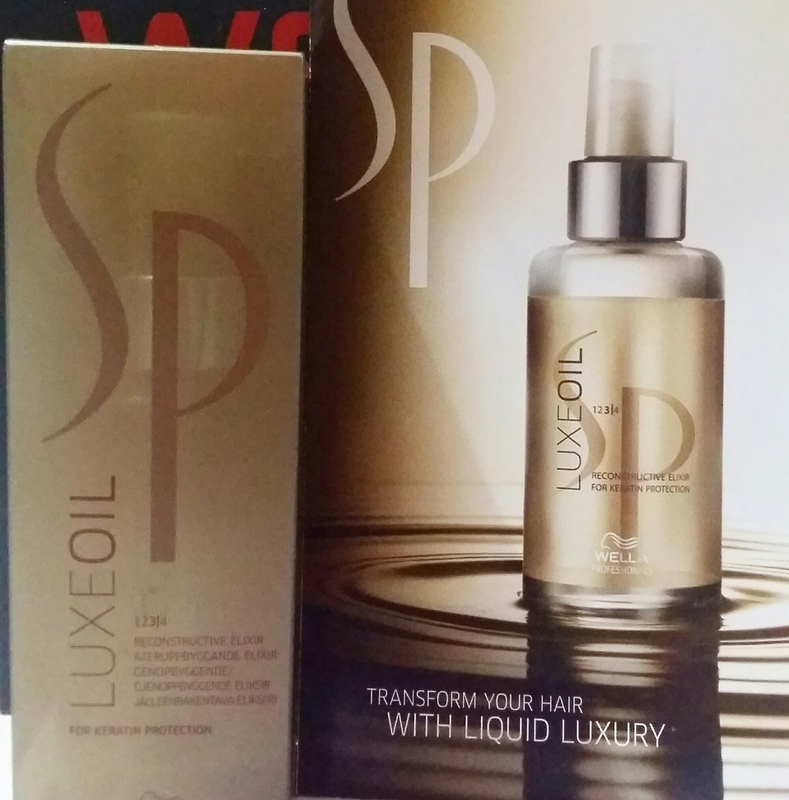 Try the products now and see if it suits you. My skin tone is now really lighter that is why I believe in BN Whitening Shoppe’s products. You can buy the products at these branches. I already have my own personal choice of spa here in Tagum and I am availing their services for more than ten years now. But I tried this newly-opened spa for a change, and it did not fail me. MAQ Spafrolic offers the following services: whole body massage, body scrub, hand & foot paraffin treatment, manicure, pedicure, nail art, waxing, warts removal, facial, acne treatment, diamond peel and galvanic treatment. I tried their diamond peel and galvanic treatment, manicure and pedicure. I was so amazed with what I experienced. First, there was a 10% discount and I just paid less than 900 pesos. Their discount will last until December 31, 2015. Second, they have superb customer service. The moment I entered their premises, the staff warmly greeted me as she opened the door. Of course, she asked me what services I want. Then she offered me some options and presented to me their promos. Then I had my choices. Every time the therapist would do something, she would inform me and ask my approval, like “Mam, can I perform the facial massage now? Or can I apply the cream now? Mam, we are now starting the galvanic treatment”. For me, this is very courteous and informative because as a client, I know what is happening. She also asked me if I want coffee, tea or juice. During the manicure and pedicure time, the nail technician told me about the condition of my nails, how grave the damage done by my previous nail technician and she gave me advise on what to do so that my toenails will be back to its normal condition. She gave me tips on how to prevent nail discoloration. Nice! They also offer nail art where you can choose the designs from their samples, or you can bring with you a photo so that they can do it on your nails. The overall experience was amazing! I would definitely go back before our Christmas party to pamper myself and I will avail of their whole body massage and nail art soon. MAQ Spafrolic is located at the 2nd Floor, Rubcon Building, Rizal Street, Tagum City. It is above Sarah’s Mami. Admit it, we are looking for the most effective beauty product for our skin until now. We often try whats new in the hope that it might be the answer to our skin needs. 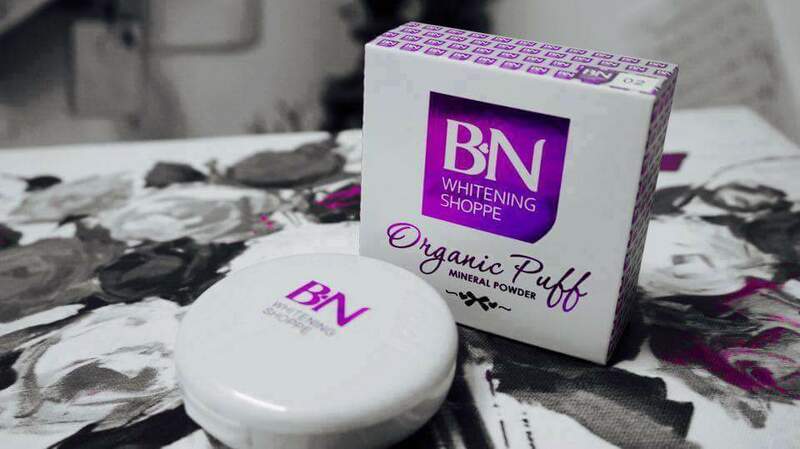 I am a BN Whitening Shoppe products user for more than a year now. I can really attest that the products are effective. But what amazes me more is their new product called 15 in 1 White Sapphire Cream. Why 15? Because it can do 15 wonders on your skin – anti-aging, hydrates, defends, evens skin tone, minimize pores, blemish soothing, reduces redness, firms, brightens, primes, enhances vibrancy, refines, mattefies and nourishes and whitens. This cream can be used as a makeup base, a foundation and even a night cream! In other words, this is an all around cream. Those ladies who do not want a different cream in the morning and different at night, then this is perfect for you. I personally use this during daytime as a makeup base. It really covers my blemishes and evens out my skin tone. Even if this cream has one shade only, it can be applied to different skin tones. So there is no problem about buying the wrong shade. The product is creamy so you have to blend it thoroughly using your fingers so as not to leave any traces of cream on your face. It also covers perfectly. The full coverage is comparable to other expensive brands found in the market. One jar (30 ml) of 15 in 1 White Sapphire Cream is only 699 pesos that can last up to three months. I began to observe the changes in two weeks where my skin is clearer and fairer. Really a value for your money’s worth. Try this product. This might be the one you are looking for. Last December 8, 2014, we opened our BN Whitening Shoppe business in Gaisano Grand Mall Panabo in Panabo City, Davao del Norte. It’s “we” because I had a business partner, Mia Polly, my classmate when I was still in Graduate School (MS Biology) in Ateneo de Davao University. 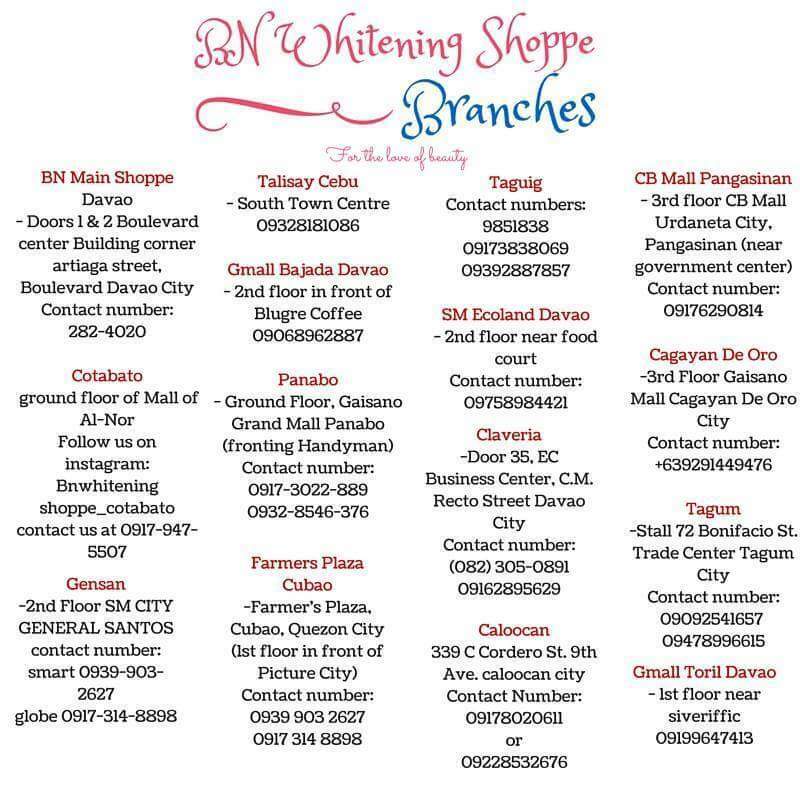 BN Whitening Shoppe started in Davao City and all the products are manufactured in Davao City, too. So everything is locally made. BN Whitening Shoppe’s CEO, Bianca Naranjo (where BN stands for), just started the business online. But amazingly, those clients online referred the products to their friends and through word of mouth, it became popular and best-seller. She opened her store and eventually, opened business opportunities through franchising. Then we got the franchise. Many people in Panabo City are already BN users but they are buying in Davao City or Tagum City. That means they are traveling 20 minutes to 1 hour before they can buy the products. That is the reason why we opened the store so that we can help those users and at the same time, market the products so that more and more women will change their lives – to have a smoother, fairer skin, boost confidence and self-esteem. This is my first business where I am really serious. I really prayed to God for this business and it came true, with the help of my business partner. I know having a business has a lot of risks, but I know God is with me…with us. Here are some of the products of BN Whitening Shoppe. A friend invited me last November 2013 to try Herbalife. She said it will make me loose weight and it is so good. I haven’t really taken that invitation seriously because one, it is expensive. The cost for the 10-day program is Php 1,350 and two, I will just do my Zumba to loose weight. It is much cheaper. But then first week of January came and another friend invited me to her nutrition center to try Herbalife. I don’t know why, but I felt I should give it a try. So I went there. A wellness coach greeted me and started to explain what the nutrition club is all about. She also checked the health state of my body. Of course, not surprising to know that I am overweight and my metabolic age is 57. Actually, I am so desperate to get slimmer because I am getting older. I am scared to have those deadly diseases. Just out of nowhere, I agreed and signed up to the 10-day program. Then came the 10th day. I was so nervous because the wellness coach will weigh and checked me again if there is an improvement. I cheated a lot in between those 10 days. I still eat more than one cup of rice, I ate a lot of pork, oily foods, fatty foods and junk foods. But to my surprise, I lost 2.6 kilos! My metabolic age is now 53. With that, I was inspired to re-enroll again. If during the first 10-day program I lost 2.6 kilos with just one shake once a day, this time, I will have two shakes a day, for breakfast and dinner. I am now so serious. I am not really depending on Herbalife alone to loose weight. I am still doing my Zumba and boxing to help me tone my muscles. I believe in Herbalife since it has really an effect. I also bought some of their products like Mineral-Herbal Complex and Fiberbond. I hope I will get slim and attain my ideal weight for my height and age, which is 52-56 kilos. I will not think of the expenses. I know that this way, I will not eat in fast food chains anymore just to save money for Herbalife. It is like hitting two birds with one stone. Want to loose weight also? Give it a try. Give change a chance. Just ask me and I am willing to answer your questions.